Today's featured styled wedding shoot from Tab McCausland Photography is absolutely gorgeous - it's all about taking the idea of a starry night wedding theme and seeing where it takes you. The bride even arrives from the sky in a helicopter. 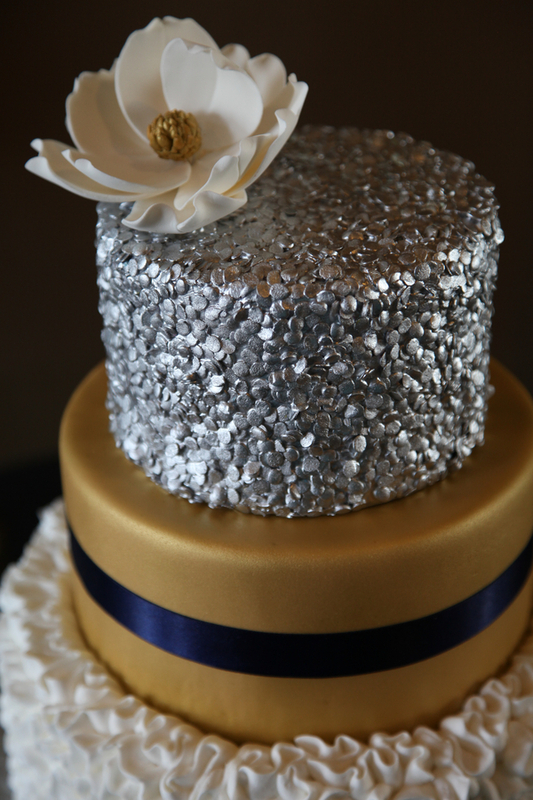 One of my favorites is most definitely the invitations and the subtle use of the star theme, it's not overdone at all. 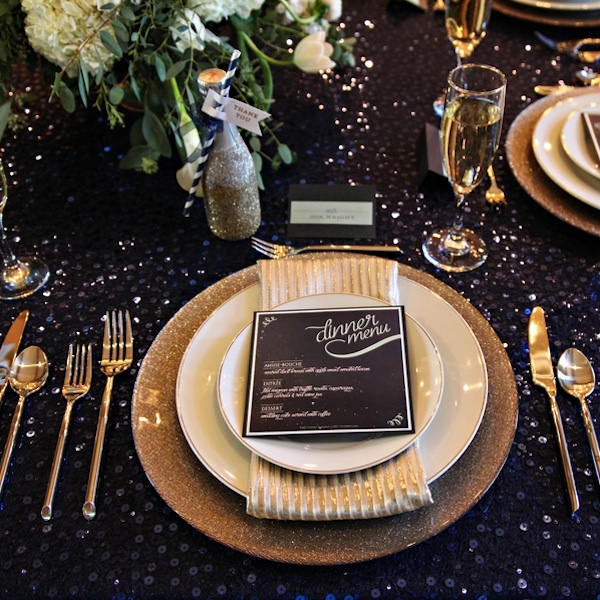 Wait until you see the dark blue sequined tablecloth - it's the perfect addition to the sparkling table setting.